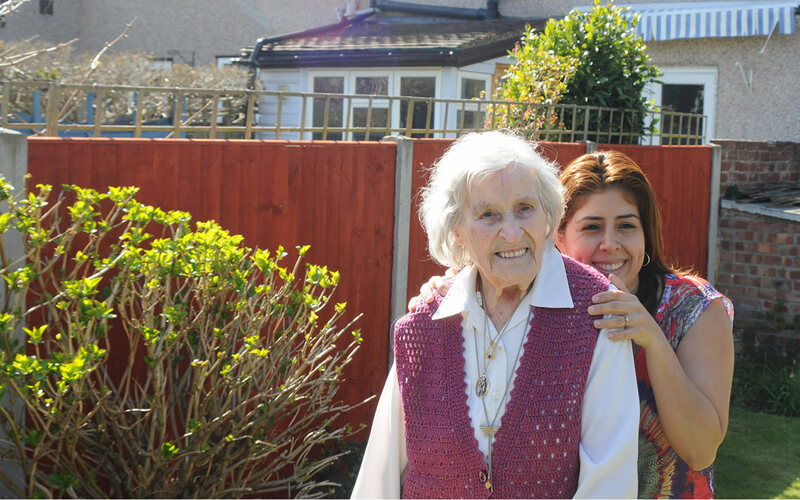 We are one of South London’s leading home care and live in care providers delivering the care services you need with professionalism and empathy in the comfort of your own home. Call 0208 099 8910 to enquire what private support services are available to you. Out of office hours? Send us a website message via our Contact Form. Live In Care – Our clients that we care for mainly require 24/7 hour round the clock care and companionship. We have vast experience in this area and our friendly and qualified staff members love to help out people in need, gaining personal happiness at the same time as providing it. Kindhearted, sensitive and holistic care in the home. Over the last 20 years, we have provided more than three million hours of care to people in their own homes. We have 2 offices in South London, one in Clapham and one in Kent. The reason for our success and continued growth as one of the leading independent care companies in the UK is our ethos. It means we go further. Much further in fact; with a kindhearted, sensitive and holistic approach, we are totally committed to delivering the best quality of life possible for the people entrusted to our care. Respite Care Services – Should you yourself be a carer for a friend or family member and wish to take a break, we have specially trained staff members to ease the pressure you may feel and provide a high quality level of care seamlessly taking over from the dates you specify. Domestic Support Services – We listen carefully to your domestic needs, whether it be carrying out the laundry to providing help with shopping or companionship attending a local club or meeting group. Together we will create a daily and/or weekly plan to ensure all of the desired tasks are taken care of and scheduled carefully. Personal Care, Grooming and Bathing – Friendly and genuine kindhearted companionship is available for all personal care needs. Our staff enjoy styling hair and making our clients feel special whilst at the same time providing a top to toe grooming service for people that need a little – or a lot – of help. Give us a call now to learn more on 0208 099 8910. Social Care – Whether companionship is required for a holiday or an event, or maybe support is needed when attending educational classes, we are here to help throughout South London. We always provide positive encouragement to all of the people we care for to maximise their social life or learn a new skill. Vacancies and Current Jobs – Click here for details of our latest job vacancies, qualifications and requirements and how to apply.